It may be Blue Monday, but we've got plenty to celebrate from our extensive range of blue cheeses, to citrus to brighten the darkest of days, to our perfect winter warmers like our classic Fondue Savoyarde. Our shops stock approximately 40 blue cheeses, with the selection changing throughout the year - today we're highlighting a selection of some of these special cheeses. From quintessential classics like Colston Bassett Stilton, to rarer, more unique cheeses like Bleu de Termignon, where the blue is introduced naturally (instead of inoculating the milk with spores, the cheesemakers rely on the moulds that are naturally present in the cheesemaking environment). With Ewe's Milk blues like Peralzola Azul and the Goat's Milk Harbourne Blue, there is a range in styles, flavours and textures to explore. With a well-marbled texture, this blue cheese has nuttier, biscuity edge than most Stiltons. By introducing the blue at a slightly later stage, the curds get a kick-start in maturing, encouraging rounder, more savoury flavours, before the veins impart that delightful spicy blue tang. The local cheeses from the Haute Alpes are mostly hard ewe and goat with a few softer styles. However the blue is really delicious with a light, floral nuttiness that is gentle and soft when young; becoming spicier with maturing. The large crepe dish Matefaim is a very old traditional recipe often seen in the high mountain areas and in Haute Alpes they crumble over the Blue cheese. A compact blue with a dense buttery texture and well-spread penicillium roqueforti moulds giving a metallic bite to the sweetness. Aged on pine shelves for the last weeks of maturation, a woody, juniper undertone sometimes pervades. Very different in style to Gorgonzola, it is perfect with the northern Italian cheeses, especially crumblier ones like Castelrosso and Castelmagno. A new cheese in the style of Roquefort but notably less aggressive, with distinct undertones of almond. 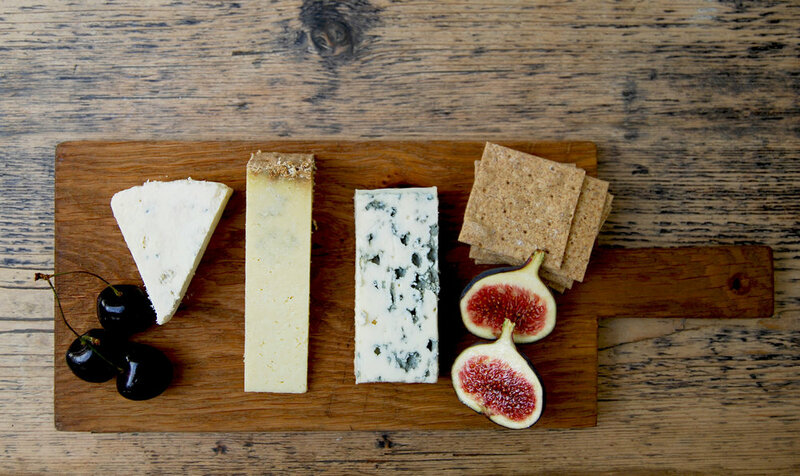 Younger cheeses show faint blue, and are lighter and more delicate in strength. With age the pate hardens, the veining becomes quite dark, and the nutty flavours deepen into piquant spice. A natural rind blue cheese. It is made with whole raw milk every other day, primarily with morning milk, which is lower in fat. The paste of a Bayley Hazen is drier than most blues - its texture reminds one of chocolate & butter. It is aged between 4 & 6 months. 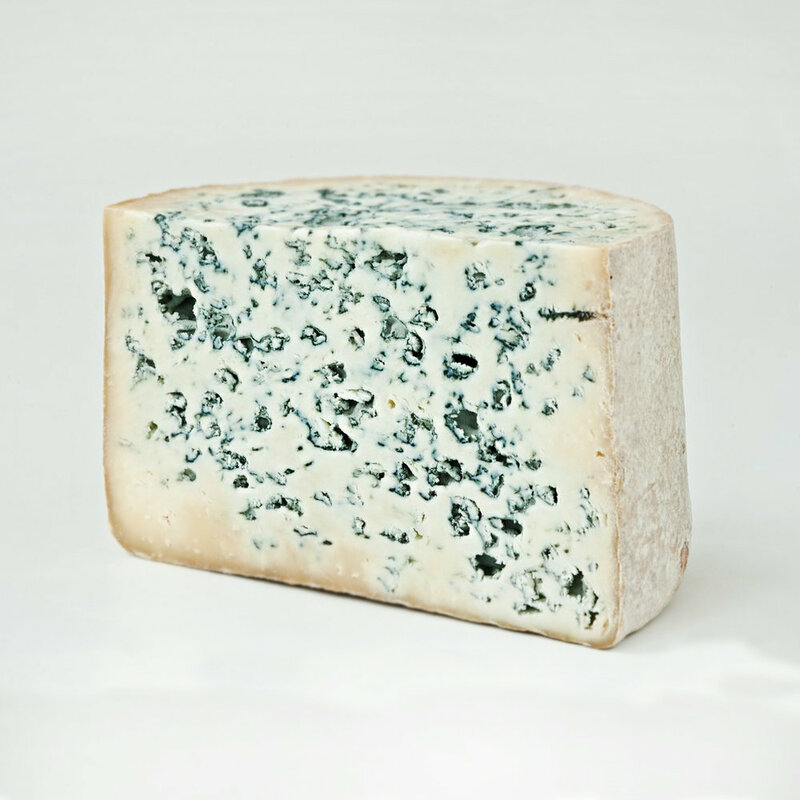 A stunning Bavarian Blue – often referred to as 'Bavarian Mountain Roquefort.' Originally invented by Basil Weixler in 1902, this rich, densely creamy pate has a mellow taste with a lovely nutty, toasted edge, which balances beautifully with the blue veining and its vibrant acidity. A lovely all-around blue. View our full Cheese Library. Trevisana Tardiva is an Italian heirloom variety of radicchio with white ribs and deep red leaves. Its unmistakable shape gives it a refined appearance, and it has a unique flavour that is pleasantly bitter with a crisp bite. It is perfect used raw in salads or crudités, but also delicious when grilled or roasted, which brings out some sweetness. It can be added to risotto, red sauces and stews, or baked into a quiche. It pairs well with citrus, fruity olive oil, tomatoes, balsamic vinegar, olives, garlic, shallots, and aged cheeses. Remove the outer leaves of the Tardiva and peel the root. Cut the vegetable in half through the middle, from root to tip, and dust the sliced side with the icing sugar. In the meantime, heat your grill and preheat your oven to 180 C. When well hot, place the Tardiva sliced side down for few minutes until well scorched. Turn over and repeat on the opposite side. Once well seared on both sides, remove the Tardiva from the grill and place it in a baking tray, sliced side up. Season with sea salt and black pepper, drizzle with the balsamic vinegar and cover with foil. Bake in the preheated oven for 20 minutes. Remove the tray and carefully remove the foil as the steam will be hot. Place the Tardiva on a plate. Remove the cooking juice from the pan and whisk together with olive oil to make a dressing. When the Tardiva has cooled slightly but is still bit warm, crumble the gorgonzola over it and sprinkle with the hazelnuts. Drizzle the dressing overtop and serve with toasted sourdough bread. The January bitter chill has crept up on us, but bitter isn’t always to be feared and we have a wonderful selection of winter bitter leaves and citrus that are only available from the deepest winter months into early Spring. From bitter Amare & Seville Oranges to leaves like Trevisana Tardiva and Puntarelle, explore the variety in our shops. We are taking inspiration from these ingredients for our upcoming Cooking Workshop & Supper on 20 February at our Marylebone shop, hosted by our Head Chef Alessandro Grano. Throughout the year our kitchen brings down from the shop floor the loveliest seasonal ingredients and makes jams, marmalades & chutneys. Made in small batches, the ingredients change throughout the year to ensure the freshest produce goes into each one. This is the prime season for citrus so make sure to visit our shops to see our latest varieties. One of the best ways to preserve lemons is also one of the simplest - with just salt and lemon juice, and a waiting time of about 4 weeks, you can make delicious confit lemons that will last for months. 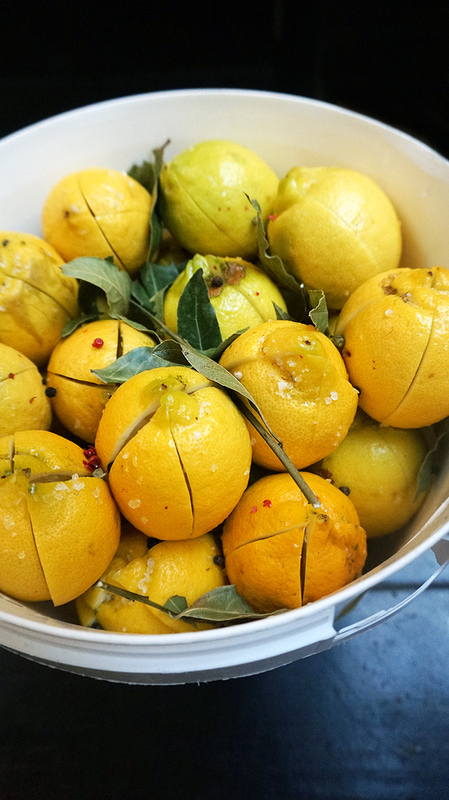 Classically used in tagines, these preserved lemons are also excellent with all sorts of stews, salads, and of course with chicken or fish. This time of year, we embrace the cold as an excuse to indulge in comforting dishes. Enjoy a fondue experience at one of our Fondue Friday Nights at our Highbury Shop or our Friday Night Cheese & Wine at our Marylebone shop, or make a booking any day of the week for our Bloomsbury shop, where our Fondue Savoyarde is available to order on our menu. If you can't get enough fondue in our shops, you can order Fondue Cheese on our web site, and recreate our recipe at home.